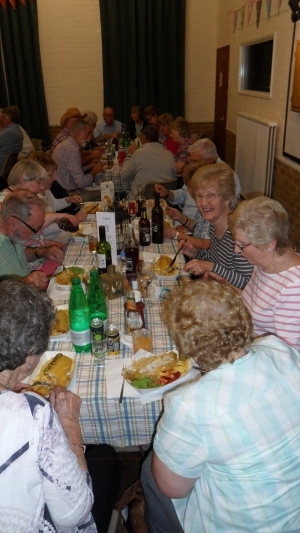 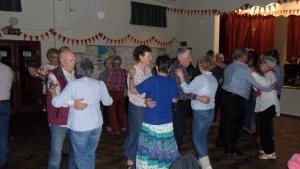 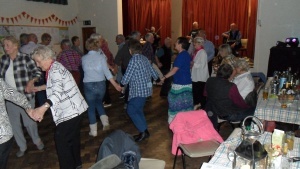 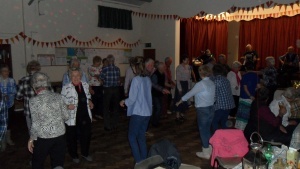 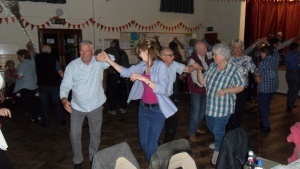 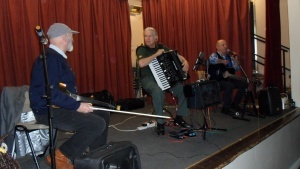 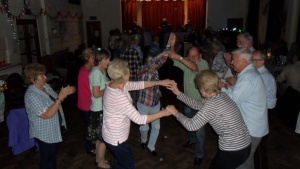 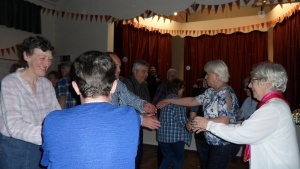 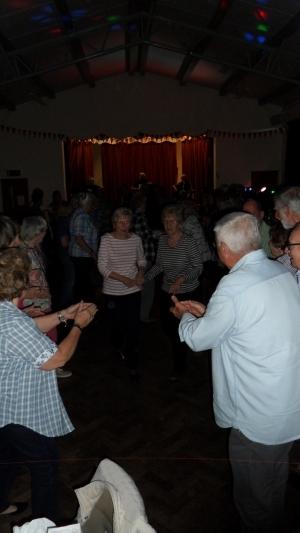 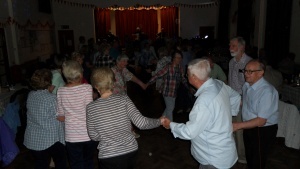 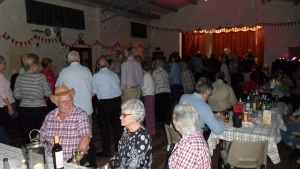 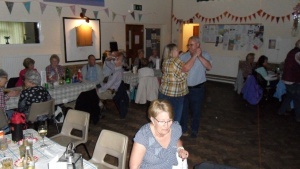 On Friday 27th April, by popular demand, we held another Barn Dance. 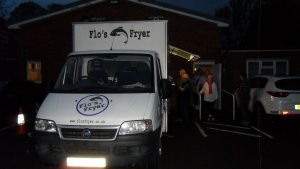 Complete with the Skinners Rats to entertain and guide us and Flo’s Fryer to feed us. 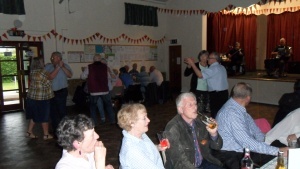 The tickets had sold like hot cakes and everyone turned up looking the part, as usual. 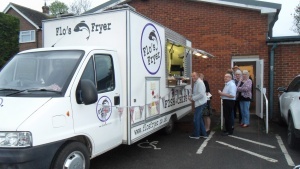 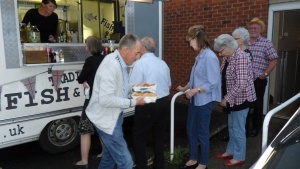 It wasn’t just bring your own drinks and nibbles, we also brought knives and forks ready for the delicious hot fish and chips cooked in our very own car park by Flo herself! 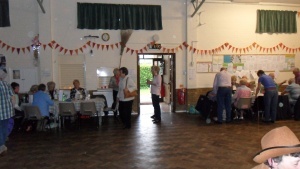 The hall and tables were well decorated for the occasion and people turned up early to take their seats. 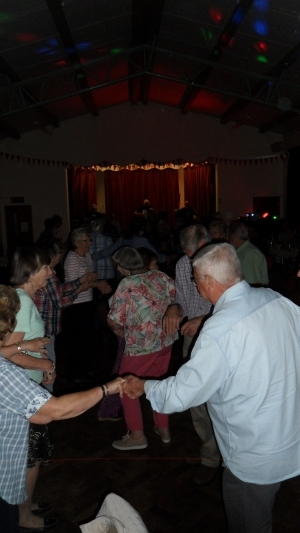 The Skinners Rats wasted no time playing music to get us on our feet. 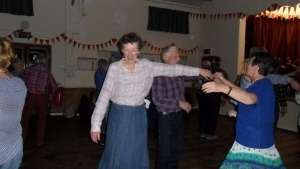 Before long, we were learning steps and dancing in time. 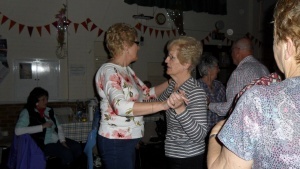 Unfortunately we didn’t all learn the same steps or manage to keep in the same time!! 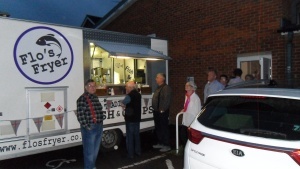 Just in the nick of time, food was served. 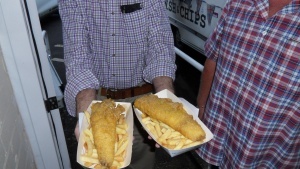 Fish / Chicken / Sausage / Mushy Peas / Gherkins / Onions / Chips and more, piping hot, freshly cooked and served. 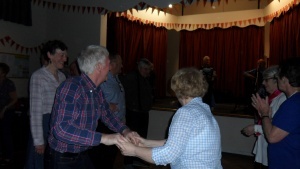 Food eaten, we were back on our feet for more hilarity…………. 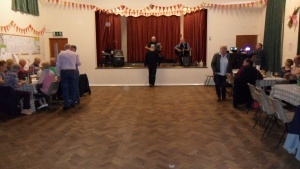 I mean dancing, to the bemused Skinners Rats. 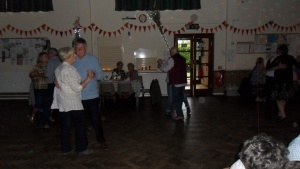 They even said they had never seen anything like us before. 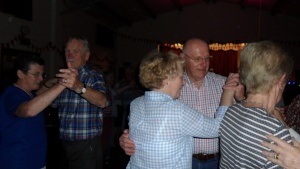 That was nice of them.